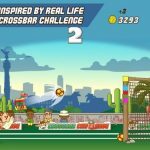 It’s time to score some goals in Retro Soccer! 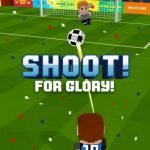 This classic arcade football game for iOS lets you form a team of adorable pixel players as you play against teams from all over the globe. The goal is the same with any other soccer game. You just need to score as many goal as possible before the end of each game. The controls are easy because you won’t need to maintain control of the ball, you will just need to kick it towards the goal. What isn’t easy is winning all your games. You will need our Retro Soccer ultimate strategy guide if you want to keep winning! Players who are new to soccer often get concerned with getting single-digit scores. Don’t worry too much about this. Real soccer games often just get a couple of goals per team. Scoring more than five goals in on game rarely happens in soccer. The game is difficult and is definitely exhausting so a goal or two per game is already a big deal. Do not get discouraged by low scores. So long as you are winning your games, then you are doing well. When you are in possession of the ball, the players from the other team will run after you and try to steal it back. Stay alert and keep your eyes peeled. Look out for white exclamation marks as these are indicators that your enemy will be attempting to steal the ball. You will need to react quickly in order to protect the ball. The best thing to do in this situation is to pass the ball to an open teammate. You may also try to avoid the player who is about to steal but this rarely ends in success. Play it safe and pass the ball around to make sure you keep the ball on your side. You will be given a star rating at the end of each stage. The maximum number of stars you can get per stage is three. Each star is given 10 coins so three stars will net you 30 coins. Aiming for three stars helps get you more coins per level. In order to get three stars in a level, you will need to complete objectives. Pay attention to what the objectives are for each stage so you can ensure a maximum rating. The game can get a bit complicated if you are not yet familiar with the controls. You can only do taps and swipes so it’s confusing at times which action does what in the game. Tapping in the game lets you do basic actions such as picking the character you will use in the game. Swiping is the more complicated action which requires a bit of practice. This action changes depending on whether you are trying to defend or attack in the game. Players make up your team and your team is only as strong as its weakest Member. If you are trying to build your dream team, you will need a lot of coins for player packs. Keep opening the packs until you have the players that you want. Keep in mind that the card packs are random so you might need to open quite a few of them before you can complete your team. Aside from opening player packs in hopes of getting better players, you can also improve your player attributes. If you have a player that you know you will be using for a long time, you should invest in improving that player’s stats. Do not upgrade all your cards or you will run out of coins quickly. Just pick the ones that seem like they will have long term use on your team. There are several different positions in soccer. You don’t need to memorize them all but do try to learn what they all do. This is important when building a team because you might end up with a group of people with the same set of skills. Assign players to positions that they are good at in order to maximize their use. If you are short on players for specific roles, you may temporarily use characters who are not suited for the role. Taps can be lethal in a game where accuracy is of utmost importance. 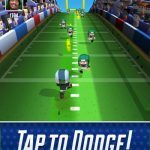 Be mindful of your taps in the game and determine the best speed for tapping in the game. Tapping too fast in the game can lead to the game confusing your commands. Include the timing of your taps when practicing for games with other players to help minimize accidental taps. You don’t want to mistakenly send the ball into the wrong goal or into enemy hands. Get used to the correct timing of taps and you will have nothing to worry about. As you progress in the game, the opponents will get smarter. You will need to outsmart them by playing different shots into the goal. One move that is difficult to block is the curved shot. 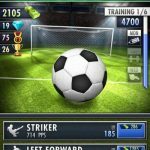 Tapping left or right after kicking the ball towards the goal will make the ball curve. Doing this will help confuse the goalkeeper and land you that goal. Practice your curved shots often in order to master serving them up in critical moments. Invite your friends to play against you in practice games. This will help you improve your game while getting real feedback at the same time. You can also share best practices with your buddies to see if there are better strategies that you can use in game. If you are already good at the game, playing against friends helps break the monotony of playing against the computer. Not to mention it is also a good opportunity to show off your soccer skills to your friends. Nothing beats classic competitive gameplay like Retro Soccer! Whether you are playing against a computer or a friend, ensure your victory by using our strategy guide!